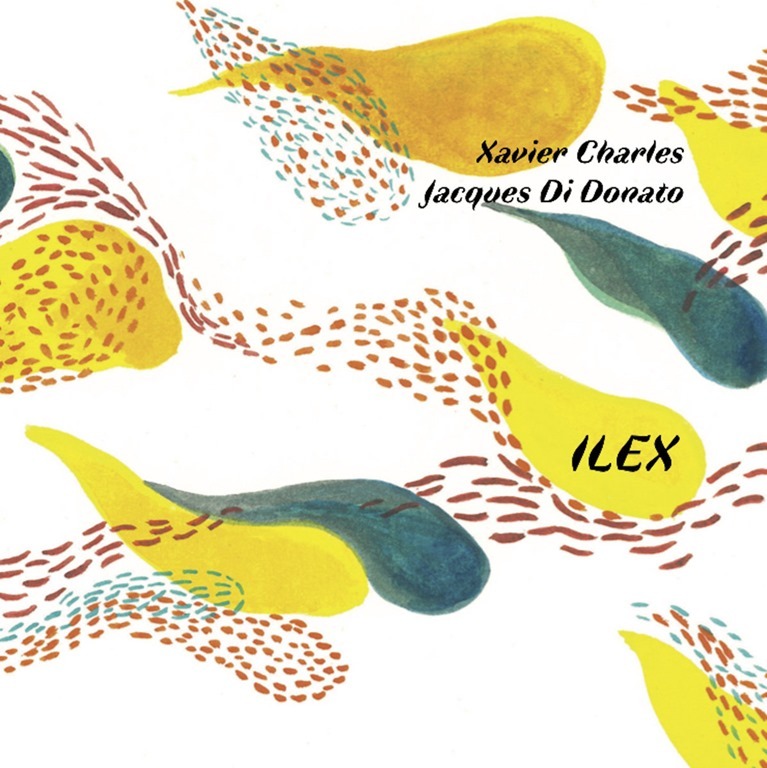 The Long Exhale is the second of two albums released simultaneously on Immediata, both featuring Anthony Pateras (as, indeed, do all of the Immediata releases, given that Immediata is Pateras’ project). Both superbly presented in a gatefold ‘Ecopak’ with hot-stamped lettering and released in editions of just 300, these are nice items, objets d’art no less. Like The Moment In and Of Itself, The Long Exhale is accompanied by an interview between the artists, with Pateras probing Burr about music and creativity. It’s an illuminating piece which provides some context for the album. Pateras is on familiar terrain here, contributing sounds produced by piano and prepared piano, an instrument synonymous with John Cage and also adopted by Erik Griswold and evolved by Reinhold Friedl. Because of the nature of the instrument (it simply doesn’t produce sounds recognisable as emanating from a piano) and the fact Burr utilises an ARP 2600 (vintage analogue synth enthusiasts will no doubt be aware of the capabilities of this popular instrument, which was used to voice R2-D2 in Star Wars), the origins of individual sounds are obscured. The long exhale is a breathing technique used in Yoga, and is also recognised as a method for curbing anxiety. This album is indeed calming, gentle, and unhurried and is certainly unlikely to provoke feelings of anxiety or excitement of the kind which would increase the heart rate. What it does provide is a gentle mental massage. The first track, the ten-minute ‘Some Association That I Didn’t Know About’ is built around a wavering, sustained humming drone. Incidentals chime and hover. Fleeting moments emerge on ‘That Wasn’t the Idea at All’ where piano and clarinet notes are recognisable, but they’re warped, bending, while on ‘Doesn’t Show’, the prepared piano notes manifest as chimes like plucked strings – which in essence is what they likely are. The album’s overall tone is sombre, sparse and atmospheric. Hushed, meandering explorations drift and float through a fugue-like soundscape. And… breathe. The trend for positive thinking isn’t one I’m on board with. Social Media is aclog with well-meaning but vacuous affirmations and new-age wisdom might briefly lighten the bubble some – many – people are content to float around in, but none of it actually does anything to address the underlying causes of the feelings of sadness, melancholy, anger, emptiness which afflict us all. The idea that it’s possible to think oneself healthy or successful – is one which is clearly problematic. That isn’t to say that mental training can’t improve wellbeing, but anyone who supports the belief that positive thinking can cure depression, or remedy the ills of the world is very much mistaken. But any idea looks more interesting and offers new possibilities when turned on its head, so inverting the popular notions of the power of positive thinking is almost certain to spark some flash of inspiration. The International Nothing have built a career on inversion, as previous albums The Dark Side of Success, Less Action, Less Excitement, Less Everything, and the mega-ironically Mainstream attest, not to mention their very name, a name which connotes inversion of something to present the absolute absence of anything, on an international scale. In context, I get the impression that The Power of Negative Thinking, housed as it is in a rather surreal cover depicting drawings of mythical cross-breeds floating in the air amidst fluffy clouds, isn’t entirely serious in its titling. Nevertheless, anger, frustration, sadness, can all be channelled creatively to yield powerful artistic results. 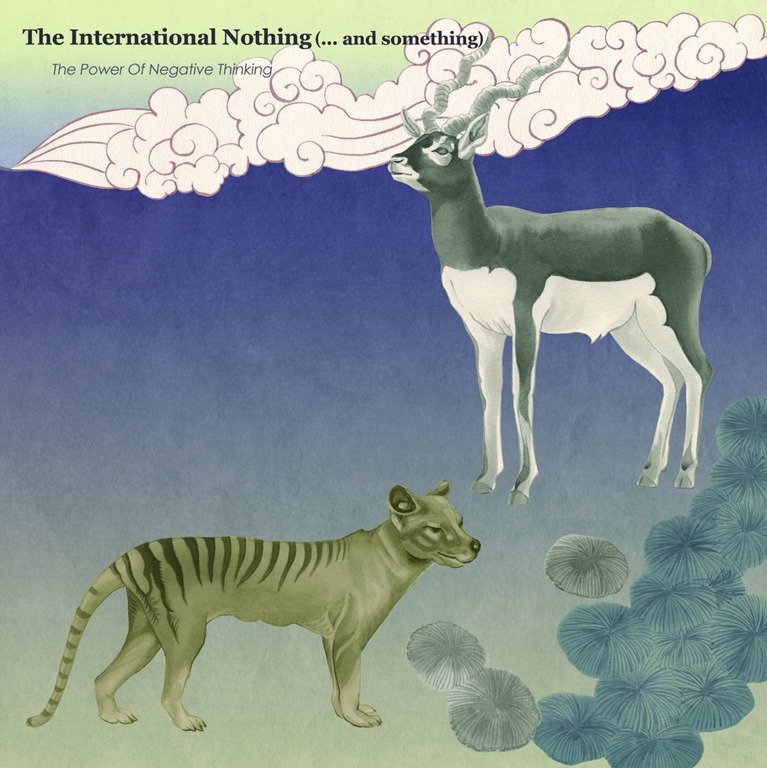 The International Nothing is ‘psycho-acoustic clarinet duo’ Michael Thieke and Kai Faganaschinki, working here in collaboration with Christian Weber (double-bass) and Eric Schaefer (drums and percussion) (collectively, the ‘something’). The album’s seven experimentally-led (but very much not improvised) tracks are not negative in the sense that they express or articular any explicit negative emotions, there’s no nihilistic noise or an overt espousal of any ideology, philosophy or mindset. What the pieces do convey is an ominous atmosphere which is ambiguous. And that ambiguity provokes a sense of creeping doubt. Contrary to the popular consensus, doubt is not necessarily a bad thing: uncertainty requires consideration, appraisal, in order to pursue a resolution of certainty. Certainty without discourse is simply blind faith. ‘The Golden Age of Miscommunication’ could well be a term applied to our present times, and the track’s plucked double bass and skittering rhythms which stop and start is disruptive, and a reminder that to reach the truth, one must question and challenge the facts as they’re presented. To accept unquestioningly, to allow oneself to become comfortable, is to be complacent and complacence brings vulnerability. The easy comfort of the snaking groove which emerges, only to fade to nothing, can be read as a metaphor, it’s disappearance a reminder of the importance of being prepared for unexpected change. The lugubrious ‘We Can Name You With Their Names’ is built around a strolling bass and scraping clarinet drone which is soon drowned to a long-building swell of percussion and a shrieking howl of treble. ‘Long Bow Glowing’ may be brief, but it’s dark and ominous, a foreboding bass drone is disturbed by hovering, high-pitched hums. Sonically, the tonal explorations are highly engaging in themselves: the ways the clarinets resonate against one another is fascinating, and a defining feature of the work of The International Nothing. The additional instrumentation brought by the Something bring dynamic range and a real sense of depth to the pieces. Compositionally, this is a dark and thought-provoking work, although its weight lies as much in its connotations and implications and the work it invites the listener to involve themselves in which provides its real power – the power of negative thinking.